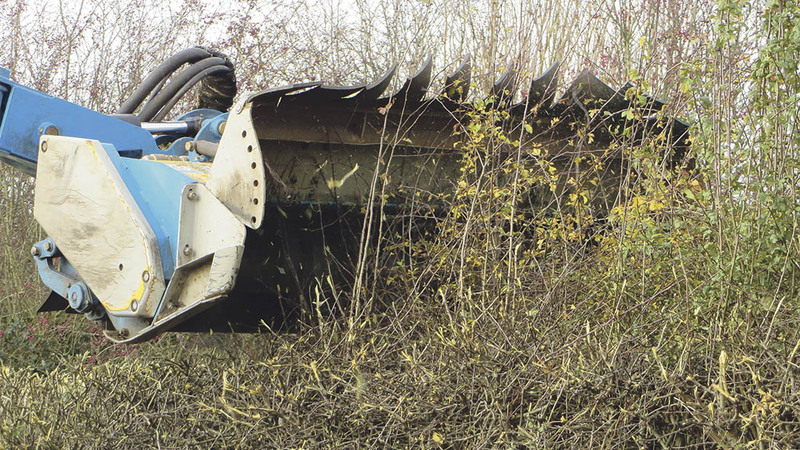 Lamma 2013 saw the debut of one of the first hedgecutters which combined forward reach and telescoping characteristics. Jane Carley meets one of the first purchasers of a Shelbourne Reynolds VFRT. Yorkshire farmers and contractors GE and M Stockil specialise in hedge cutting and verge mowing as well as offering a bale wrapping service, and when the time came to purchase a new reach arm machine, the new VFRT from Shelbourne Reynolds caught the eye. 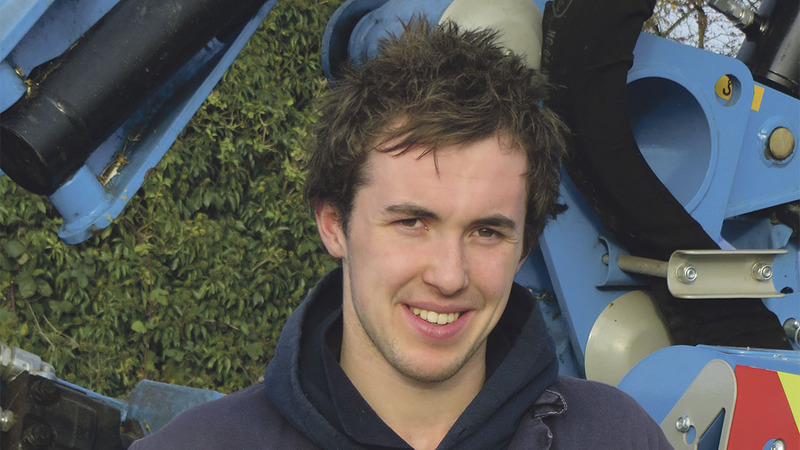 Proportional electronic controls are described as ‘very responsive’ by Tom Stockil. Working in a 10 mile radius of their base at Markington near Harrogate, the Stockils are flat out with hedge cutting from the opening of the new season in August, following the combines. They progress to grassland farms and roadside work through the winter, cutting in tandem where possible for maximum efficiency. 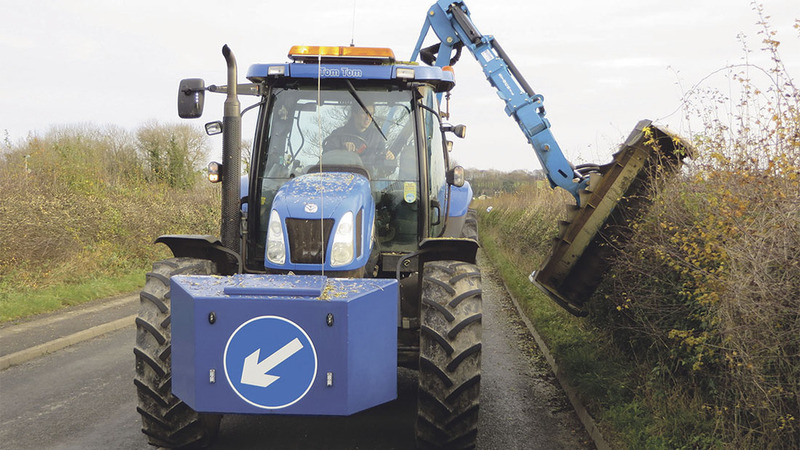 From May, grass cutting for highways authorities slots in alongside bale wrapping and in July, the pair tidy up gateways in preparation for the harvesting teams. He suggests that on two-year growth, the improved cut and the 1.5m wide head can save him two passes; closing the hood down on roadside work keeps the material contained and reduces the amount of debris to be cleared up. The Shelbourne Reynolds VFRT combines a cranked forward arm with a telescopic action, for improved reach and operator comfort. Electronic proportional controls in the cab can be adjusted for sensitivity to increase or decrease the speed of head and arm movements which Mr Stockil comments is useful on different jobs, allowing the operation to be tailored to the terrain. Shelbourne Reynolds’ design places the oil cooler on top of the oil tank rather than below, which he points out as a good feature as it tackles the rising heat and is out of the way from debris. Opening the hood on the 1.5m head increases working speed and tackles two-year growth. The VFRT was delivered in August 2014 and he says that Shelbourne Reynolds has worked closely with them to tweak the new design for the optimum performance. Mr Stockil suggests that the policy is normally to keep machines seven or eight years, but with an increasing workload replacements may be more frequent in the future. Plans are also afoot to add a third machine to complement the VFRT and Michael Stockil’s McConnel PA65. Reach: Telescopic between 5.6m and 6.5m and a forward reach capability of up to 2.0m.